Paul M. Gardner Terrapin Philanthropy | Growing Philanthropy. Paul brings over fifty years of “in the trenches” fundraising experience to Gardner & Associates clients. 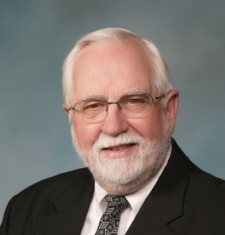 He has served a full spectrum of organizations, including libraries, schools, colleges and universities, retirement and long term care organizations, international development agencies, health care, youth agencies, social service, arts organizations, and churches. He has been a part of capital campaigns whose combined goals exceed $400 million. Having lived and worked in Arkansas for over thirty years, Paul is well known and respected in Arkansas’ not-for-profit community. Paul has served in the Development Office of Harding University working with major gifts, alumni development, and annual giving. He also served as Vice-President for Institutional Advancement at Ohio Valley University and Director of Resource Development at Heifer Project International. He served as associate Vice Chancellor at the University of Arkansas for Medical Sciences (UAMS) and as the Executive Director of the Arkansas Cancer Research Center Foundation at UAMS. He has been active at the national level in the Association of Fundraising Professionals (AFP) and is the past treasurer of that national body. He is past president of the Arkansas Chapter of AFP and has the distinction of being named by colleagues in 1994 as Arkansas’ Outstanding Fund Raising Executive. He recently completed service on the national board of the AFP Foundation. Paul is a graduate of Harding University and West Virginia University. His doctorate is from Ohio University. Paul and his wife Mary live in Searcy, Arkansas. He applies his skills by serving as the board chair of Vera Lloyd Presbyterian Family Services.